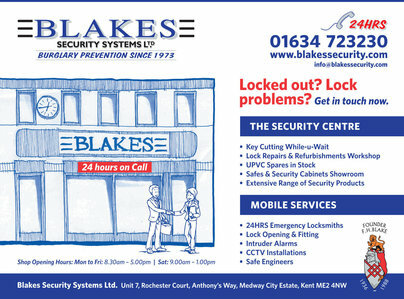 Blakes Security Systems Ltd is an established family run business, recognised as approved 24 hour master locksmiths. Over the years we have built an extensive customer base in the domestic, commercial and public sector. We are based in Rochester and operate throughout the South East. We provide a complete locksmith, security consultancy and installation service. Specialising in burglary prevention, intruder alarm systems, CCTV, access control, door entry systems, master suited locks and UPVC locking mechanisms repairs. 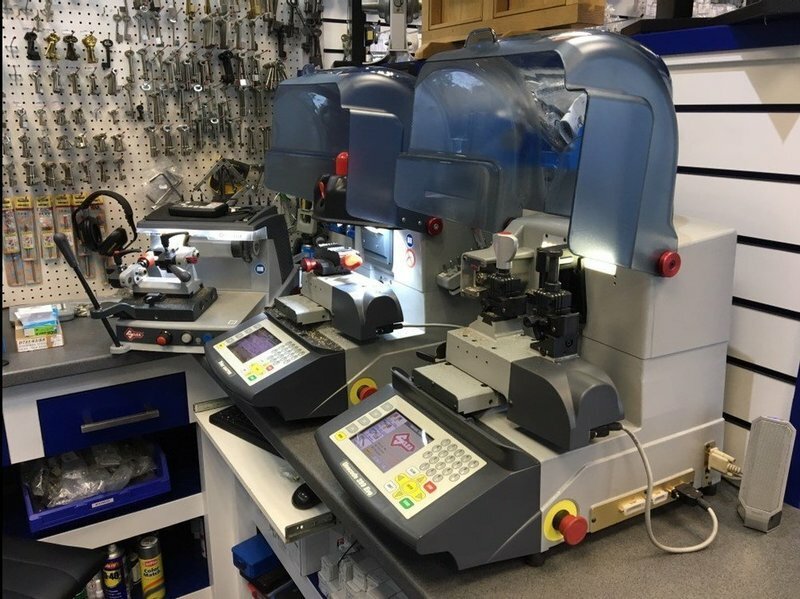 Our shop offers key cutting services. Ranging from domestic household keys to vehicle, safe, antique, church, padlock and security keys. We stock a large range of ironmongery, UPVC locking mechanisms, padlocks, a vast array of door locks, security cylinders and safes. From first visit to completion of work, friendly, professional, took time to explain everything and would recommend them to anyone. The quotation arrived as expected giving full information on a full security system and installation of a CCTV system. After agreeing price advised of date for installation and how long it would take. Contacted prior to start of work to ensure date was still convenient. Installation more than meets our expectations, work completed cleanly, professionally and in a friendly manner. Everything was explained in a friendly manner ensuring we had an understanding of the systems before leaving our property. Also feel extremely comfortable in being able to contact them should the need arise and will keep in touch for maintenance of the systems. Very impressed with work, we did not have to move a thing, very, very pleased with the whole installation, works wonderfully. Lovely experience, OK good workmanship. The multipoint lock on our double glazed front door broke so we could not lock it. We have porch doors so we were still secure. Mr Blake came as arranged, removed the very old looking device with some difficulty, and as we are old and decrepit and had a doctors appointment the next day, went off to find a replacement, returned and continued working until the job was completed. Such service is rare now. Blake's was one of the last places I tried for my key job, and after being taken care of by Dean, who is a breath of fresh air, competent and so helpful, fast and very informative would recommend to anyone, always my first choice. Extremely helpful. I used them 3 years ago to replace business locks and had to contact them for same replacement keys - which they did and were kind enough to post them to me to save me collecting them! Very good service. 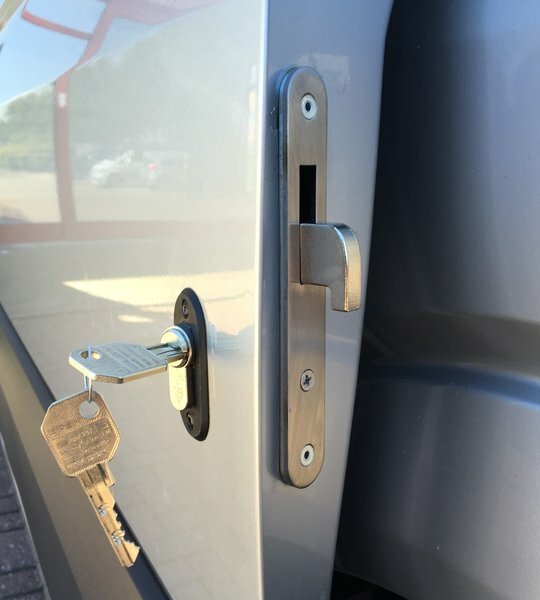 I had the problem of a door lock failing with the key firmly trapped inside. I found Blakes with Which Trusted Trader; glad I did ! Everyone I dealt with was courteous and knowledgeable, even the van was pristine ! The new ultra secure lock was installed and the working area cleaned with minimum delay. If I need a locksmith again then I would have no hesitation in calling Blakes. Well done ! I was impressed by the prompt and good service. Everyone I had contact with was very helpful and friendly. Just a note to say thankyou for providing such a great service. Your company fitted mum and dad's alarm, possibly 40 years ago. It was nice to know its still a family run business the same ethics. Good old fashion customer care, Mum couldn't thank you enough for making her feel secure again. Thanks again to James and the rest of the company. Courteous and prompt action by receptionist. An emergency situation and the owner came after work hours to do the work. He explained the cost and told us what he was going to do. Finished job was excellent.